How well you handle the customer interactions across your contact center holds the key to business success. Customers have increasing expectations from the businesses when it comes resolving their issues. Quick and effective customer service is the aim of all the business but upholding call center quality assurance every time a customer engages with your business is what makes the cut. 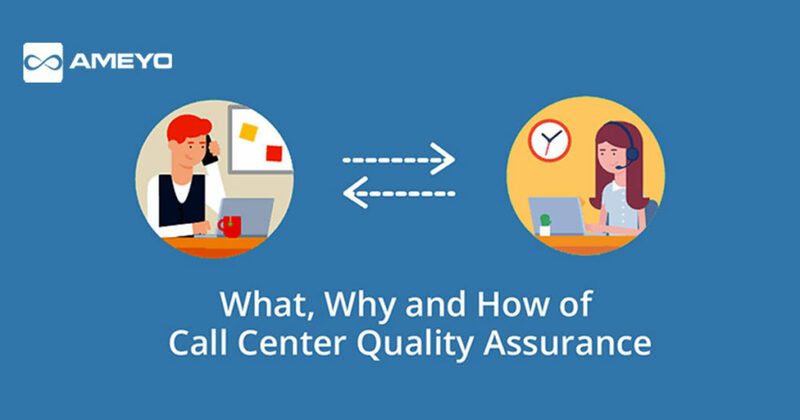 Before diving in understanding the basics of call center quality assurance, let’s first understand what is call center quality? In nutshell, call center quality is about how well your agents are delivering the customer service and ensuring the consistency over the period of time. Main aspect of this process is maintaining the call quality standards throughout a customer’s journey for each each customer. Call center quality assurance is the process of observing an agent’s call and analyzing the quality of the call with respect to customer’s requirement and expectations. Call center quality monitoring is considered to be the most effective and efficient approach to improve the customer service provided by call centers. 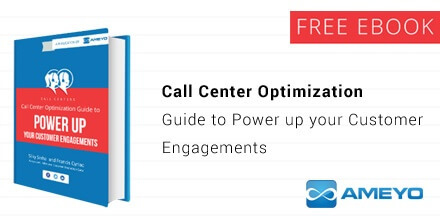 With effective call center quality monitoring call center managers can easily spot and discover problems within their teams by proactively monitoring the interactions between the agents and customers with the help of a right call center software. Call quality monitoring practices soft-wire the skills in call center agents overtime in a manner that it becomes a part of their approach. Their approach towards solving important queries becomes more proactive and different areas like answering customer questions; handling irate customers; acknowledging customer feedback; being empathetic are handled in standardized manner across the team. There are certain guidelines which call centers need to follow while handling customer interactions to ensure customer privacy and security. Quality monitoring calls for maintaining strict compliance standards and assuring that customer data is secured and call center agents are implementing all the requisite steps to adhere to the compliance. When customer service is seamless and customers get quick and helpful assistance from the service agents, their overall experience with the brand is boosted. Quality assurance helps brands to maintain a consistent level of services over the period of time at each touch point throughout the customer journey. Cost of Acquiring new customers is far higher than retaining the existing customer. Call center managers understand this fact, and ensures quality service is delivered to the customers to avoid them from switching to competitors. Quality assurance puts customers on highest priority thereby ensuring retention. When service agents are monitored closely, the call center quality metrics tend to improve automatically. It said, you can’t improve what you cannot measure. Hence measuring call quality metrics is a crucial aspect of call center quality assurance. Tracking these key metrics overtime surely improves the service performance. How Can you Improve Call Center Quality? Customer interaction management is crucial for all call centers. The customers decides whether to continue her association with a brand or switch to a competition based on how their issues are handled and interactions are managed. Therefore, it is important for businesses to put the right call center quality assurance guidelines and tools in place to focus on customer retention and manage effective interactions. -Focus on Complete Caller Experience – Call center managers must listen to the complete conversation between the agent and the customer in order to measure the agent’s performance properly and judge the call quality. The manager should assess if the call can be categorized as a quality interaction. -Ensure Problem Resolution– The customers are calling for some purpose and need a solution to their problems. The agents should take complete ownership of the call and try their best to resolve the issues, even if it requires them to transfer the call to another department or escalate the call to a supervisor. -Agent Engagement is Must Quality Evaluation Process – Agents should have a complete knowledge of the metrics and targets on which they will be evaluated. Whether it is adherence to scripts, average handling time or first call resolution, they must be aware of what a quality interaction constitutes of. They should be presented with live demos to gauge an in-depth understanding of a good, average and a bad call. The managers should ask the agents about their constraints and issues and ask for their feedback about the practices that are being followed in the team. -Promote Self-Assessment for Agents – Agents must be allotted with a period of time each week to evaluate their own calls. They should listen to their calls and analyze their performance on the basis of quality of service and customer satisfaction. This will enable them to learn from their own mistakes and improve communication and service skills. –Voice Logger – This call recording tool is very helpful learning tool. Conversations are recorded and used for quality and training purposes, using real life examples of what to “do”or “not do” in different situations. Logs can be archived in different formats and agents and supervisors can use them to learn best practices. This helps businesses be compliant to processes and helps them identify the problem areas in case an issue arises from the customer’s or agent’s end. Voice logs prove to be very helpful in these situations as all the calls are documented with customer and agent information and what each person has said. -Call Snooping – To monitor agents who are on call, without disturbing them, is called snooping. This tool allows supervisors to quietly listen to conversations. Supervisors can pick agents in a campaign at random, and see how they are performing on calls and whether all issues are being resolved. -Call Whispering – A supervisor acts as an advisor and silent spectator in this tool. The customer does not know that the supervisor is talking to the agent while on call. In case an agent is not specifically skilled and needs guidance or advice. The supervisor listens to the call, offers the agent his/her advice, and the agent relays the same to the customer. -Call Barging – In case an agent is not able to handle the customer efficiently, the supervisor can forcefully barge into the call. Supervisor now takes complete control of the situation and resolves the customer’s issue. Managers must make call center quality assurance a priority as it affects the overall call center performance immensely. If done right, the business can thrive and lack of monitoring may have serious implications.